when operating outside their home market? keep leadership in touch with organization? improve ability to communicate in English? Japan Solutions designs "Solutions" to overcome the communication challenges using a four step process. 1: We thoroughly assess the specific training objectives of the company in advance and most importantly we continually assess the needs of the individuals who take our training. 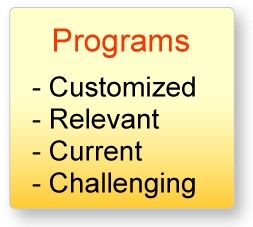 2: We develop the most effective "Relevant" programs using our internal "Think Tank" process. 3: Our facilitators and trainers manage the learning process. We ensure our programs are relevant, meaningful and highly interactive. 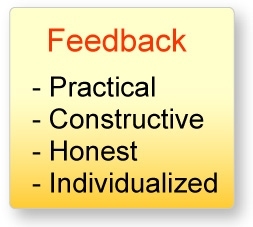 4: We work hard to ensure that all feedback and trainee evaluations are meaningful and forward looking. We value our individual professional reputations. We all have extensive business experience in the Japanese market. We have very close ties to Japan and are dedicated to make our programs in Japan better and better. Japan Solutions ensures that our clients get cohesive highly coordinated training solutions delivered by the most appropriate trainer. Japan Solutions' tailor-made training includes a combination of Seminars & Workshops: In Seminars you delve into relevant business theories, concepts and vocabulary with the help of a native English Business Professional. In Workshops you practice using relevant vocabulary and test your understanding of business concepts and theories with a native English speaking business coach. Japan Solutions works hard to ensure all our Seminars & Workshops are RELEVANT. 1) We cover the most up-to-date Topics which are RELEVANT for today`s international businessman. 2) We coach you on a variety of skills which are RELEVANT for your job, industry and objectives. 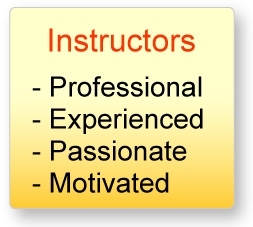 3) All our instructors have RELEVANT business experience.